If you’re like me, you can’t get enough eggs. Fried or poached eggs, when placed over any food, create the most unctuous, delicious, satisfying meal (in my opinion at least). Seriously, what is better than a perfectly runny yolk? They’re just so creamy and wonderful and smooth and they really complete any meal…. Whoa, just had a little egg moment…I’m back now. One of the many reasons I love eggs is because of their versatility. 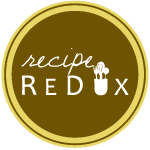 Sweet and savory applications plus so many cooking preparations! 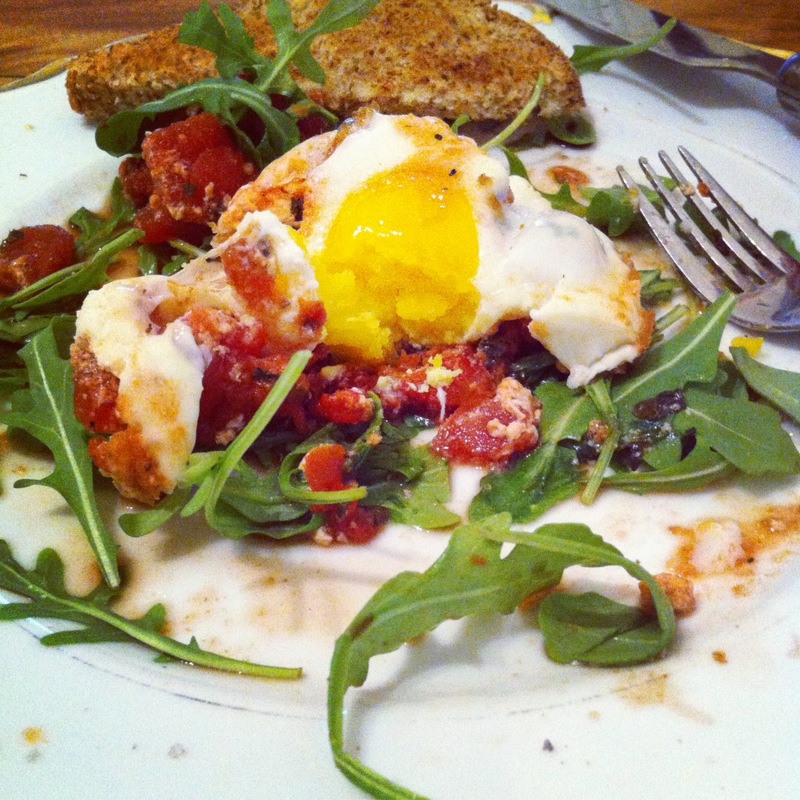 Even with all the cooking options, I tend to rely on fried and poached eggs, along with omelets. 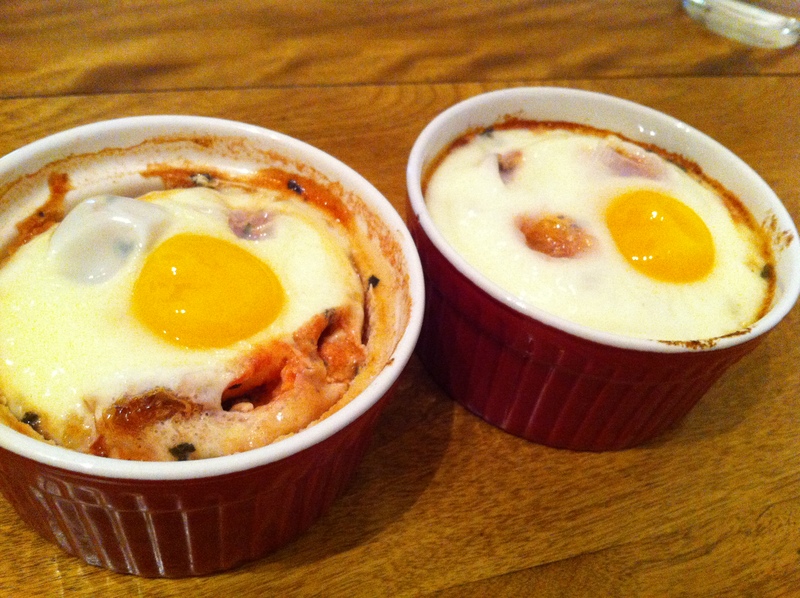 So I felt that I should explore another egg cooking method: baked eggs. You can bake them in different sauces or even bake them in potatoes, tomatoes, avocados – really anything! I decided to try mine baked in a marinara sauce, because I also can’t get enough marinara. Preheat oven to 375 degrees. Spray 2 ramekins with cooking spray and fill each with 1/2 cup marinara sauce. Crack an egg on top of both. Bake for 25-30 minutes, or until yolk is set. 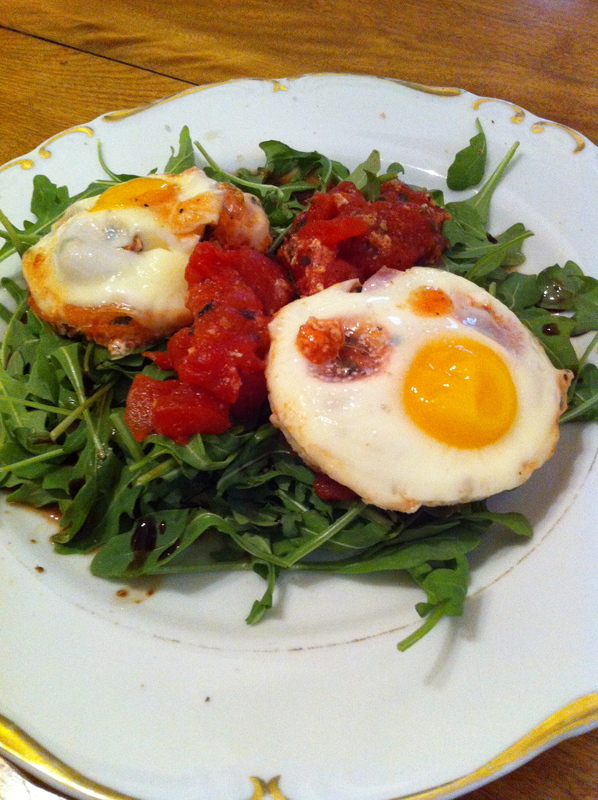 Serve over arugula (spinach or kale would also be good). Did I mention how wonderful eggs are for you? Only 70 calories/egg with 6 grams protein. Yes, there is saturated fat and cholesterol in the yolk (though there is nothing wrong with 1-2 eggs a day…anything more than that and I recommend supplementing with some egg whites), but the yolk is also high in lutein and xeazanthin, two compounds that may reduce your risk for macular degeneration. The yolk also contains vitamin A, choline (may help improve brain functioning and reduce inflammation) and even some protein (it’s not all in the white!). As far as choosing eggs at the store, I recommend Organic, Free Range eggs from chickens that have been fed a vegetarian diet. While these are the most expensive, you are getting what you pay for: higher quality eggs from more ethically-treated chickens, sans the pesticides and antibiotics.